Best Foundation Hacks - Flawless Skin Foundation Tricks. 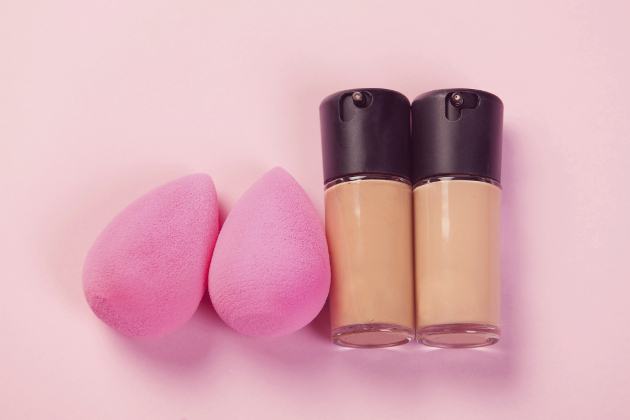 Foundation Hacks That Will Change Your Makeup Rut!. Everyone wants the perfect coverage from foundation, but it’s easier to achieve a glowing look when you know a few simple tricks that make your makeup routine much more successful. Whether you prefer liquid, cream or powder foundation, check out the best foundation hacks and find out how to improve your looks with a few simple tricks. These life hacks can help you get the most out of your foundation, spend less time in front of the mirror, and always get the desired coverage just right. Trying foundation on the back your hand is one of the biggest mistakes many women still make. The right way to pick the perfect shade is to apply it to your jawbone. Trying the three shades that look closest to your skin will help you find the one that blends in perfectly. If you can’t do that when you’re buying your makeup, go for the next best thing and test the three shades in the middle of your chest, where your skin tone is much closer to your face than the back of your hand. Using foundation as concealer is one of the best foundation hacks, but the trick to pulling it off is being patient. Apply a bit of foundation on the spots where you’d usually use concealer, but do not blend right away. Instead, let it set for 5 minutes, whether it’s cream, liquid or powder, before gently blending it. When you’re running out of foundation, try this simple trick to make the best out of what’s left in the container. Blend the little foundation your have left with your moisturizer and you’ll get instant tinted moisturizer. Don’t expect the same level of coverage, but this life hack sure beats skipping the foundation altogether. Even if you have a favorite type of foundation, switching in between them based on the temperature is one of the best foundation hacks. In warm weather, when sweating is a problem, powder foundation is the way to go. In the cold days of winter, you’re better off using a cream foundation that prevents your skin from drying out. If you want perfect coverage that’s natural looking, you have to take into account any difference in shades, particularly in the summer. Go natural by using two shades. The darker should go on your forehead and other areas that are exposed to the sun the most, while the lighter one goes on your jawline and areas that get less sun. Don't miss: Unconventional Makeup Tricks that Work! There are plenty of different brushes for foundation, but if you want to stick to just one, then the dome brush can help you get the right coverage everywhere on your face. Try one of the best foundation hacks and use the dome brush to control coverage and get the right finish. An application technique that’s perfect for foundation, stippling is used by many professional makeup artists for light coverage. While the dome brush is best for powders, you should try stippling with cream or liquid foundations and a special brush. Dotting with the stippling brush can help you get the perfect finish. The most effective way to get natural looking coverage is to start with the areas that need it most and expand from there. Start with your nose and forehead then go outward as you blend in the foundation. Do the same with your chin and blend towards the jawline. While many advocate for upward motions when applying foundation, one of the best foundation hacks is actually applying it with downward motions. This is important for two reasons. When you’re using upward motions, you’re more likely to make your pores more visible, and since peach fuzz grows downward, you’ll also be making it more noticeable with upward application. 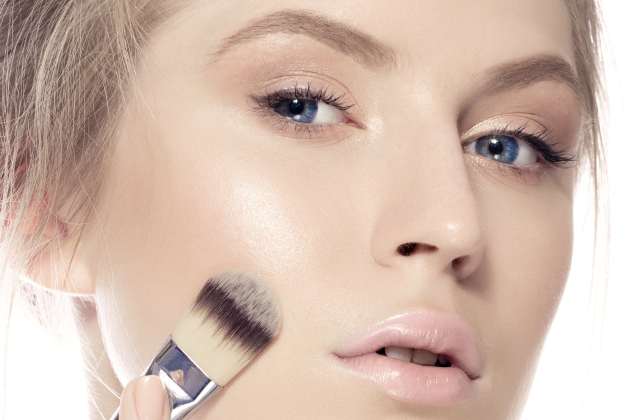 If you’re out of highlighter, try one of the best foundation hacks for liquid products. Mix your liquid foundation with a loose mineral eyeshadow and you’ll get the perfect highlighter. Stick to light shades, and those that have a touch of iridescence.